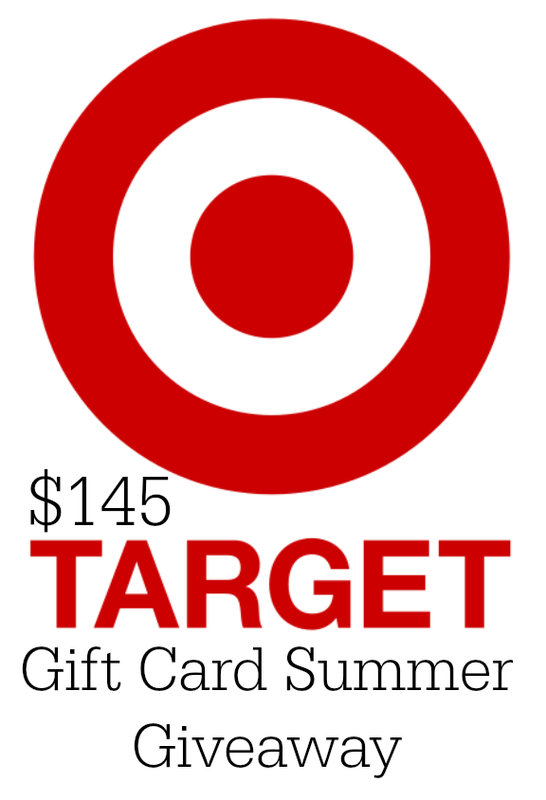 Happy summer Target giftcard giveaway!! I am so over the top, crazy excited that summer is finally here. Not that we’ve been impatient or anything right? but I always have a little time to shop. And, I figured you might too. Hello! If I won this Target GC, I would get some things to decorate my new apartment. Too fun! Thank-you for this generous giveaway! I have my eye on some great kitchen items I saw recently. I love Target! I would buy school supplies and clothing for my kids. I would buy health and beauty items mostly. Maybe a new bathing suit and some groceries! I would buy some clothes for my new job. Great giveaway!! I would use it on household stuff. I would restock my baking pantry! Honestly, I am looking at school supplies and school clothes. If I won the GC, I would use it for a post-baby shopping spree! Something to help me organize my closet, it’s getting cleaned right now and would be nice to have it put back together in an awesome way~! I would use it to buy things for my 6 month old son! Becoming a SAHM is so rewarding, but losing half your income isn’t easy! I would probably spend the gift card on my grandsons who are coming for a visit from Oregon on 6/27/14! They are 2 and 7 months old. Diapers for sure for both of them! Also I would be looking for school supplies/things for my room because I am a kindergarten teacher. Ooooh! Decor for my new house! My daughter has her eye on a new bike. They have a beautiful area rug and new sheets. I would buy decor item for my house. If I won, I would use the gift card to purchase items to decorate my new home! Thanks! If I won, because I’ll be moving in the next several months…..new items for the home! Thanks for the chance to win! I would buy school supplies and summer clothes for my kids. Thank you!